I shall conjecture here that, on rainy days, since mosquitoes have such itty-bitty teeny-weeny little flimsy wings, they become too wet to fly. So they go on vacation. 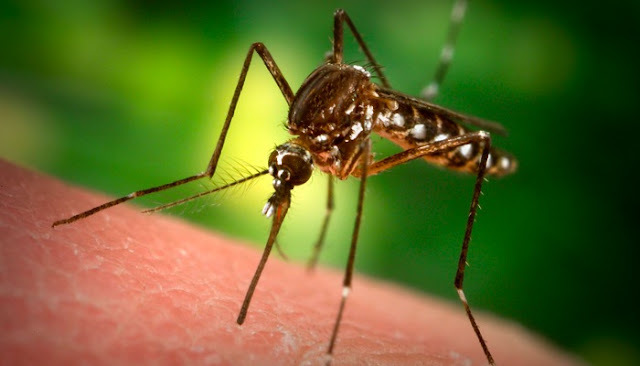 So logic dictates that when the sun goes out and the flimsy wings dry out, the mosquitoes, like the fearsome Japanese Zeroes of World War II, go into attack mode. That can be troublesome when one attempts to undress in the middle of a freshly mown football field. I dunno… Mowing ankle-length grass always seems to bring them out! Nabubulabog! I might have been stripped and changing into playing gear, but I still managed to catch one daring mosquito with a quick slap on my right arm! It was as big as a vulture! But that is so exazh again…!!! There was no blood on my arm and I, in fact, slapped it dead as soon as I felt its dull sting. The reflex action prevented the mosquito from feasting on me. The element of luck, I hasten to admit, was very much present in that reflex slap. I have always thought that these larger mosquitoes are, in fact, so much more nimble than their smaller cousins who flourish in the pusalî. When I was in college in Manila – let us not even talk about when that was – I used to slap away the latter as a sport! They are small; but they are not quick. I used to tell my board mates that the mosquitoes we had in the bukid were bigger, but they could change direction in defiance of the laws of Physics. Even within the confines of my small room, if I decided to give chase I could end up slapping away at nothing but air till I grew tired and just allowed the mosquitoes to feast away! In comparison, the smaller mosquitoes in Manila seemed tangahin… I mean, one just tends to associate small with quick. But the smaller ones appear languid when they fly. The act of tugging the skin catches the proboscis so that you actually see the tiny body trying to get loose. Then you call your classmate to catch the mosquito with his thumb and pointer finger. I learned that in high school, by the way! Not in Biology… Sa umpokan!!! When a quiet class suddenly went berserk… Somebody just caught one that way!!! I had an Australian visitor today and learned from him that Aussies have a cute little slang for mosquitoes: mozzie. I had to Google that again for the right spelling, by the way! How such a pesky little thing can have such a cute little name I cannot even begin to wonder!